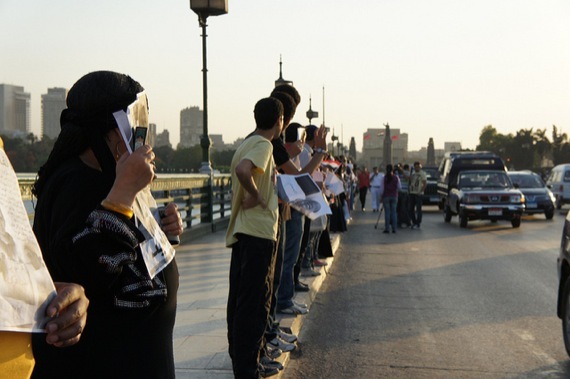 Egyptian protesters participating in a silent stand on June 6, 2011, at Kasr Al Nil bridge. By Zeinab Mohamed, via Flickr. 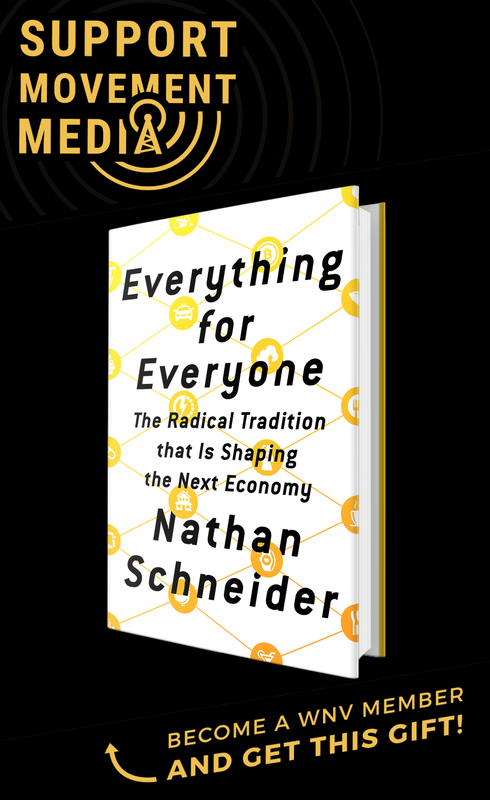 The starting point for a movement of mass action usually cannot be pinpointed to a single moment or person. This is true of the 2011 Arab Awakening, despite the temptation to credit Mohamed Bouazizi’s self-immolation in Tunisia or Wael Ghonim’s prowess on Facebook in Egypt; such struggles defy simplistic explanations of origin. “I don’t want to take much credit; the revolution was leaderless,” Wael told 2.8 million listeners on BBC’s Radio 4 recently. Encircled in a tight studio in London’s Portman Place BBC headquarters, along with Paul Mason, economics editor for the BBC program Newsnight, newscaster Andrew Marr had convened the three of us to discuss the topic of “Revolution.” Egypt’s revolution, our conversation made clear, was far from spontaneous. For years, Egyptian activists were sharing knowledge, organizing and learning to think strategically. Wael is a 31-year-old Google executive in charge of marketing for the Middle East and North Africa who helped to catalyze the movement centered in Tahrir Square last year. On June 8, 2010, he saw a photograph of a young Egyptian who had been, in his words, “horribly tortured.” The visual proof of Khaled Mohamed Said’s atrocious June 6 fatal beating by secret police in Alexandria struck a chord throughout the country, in part because the 28-year-old was middle class. Weeping over “the state of our nation and the widespread tyranny,” Wael saw the image as representing “a terrible symbol of Egypt’s condition.” He decided to create a page on Facebook called “Kullena Khaled Said,” or “We Are All Khaled Said.” Some 36,000 joined the page on the first day, many writing comments, and thus a conversation began to occur that could not otherwise have taken place under Hosni Mubarak’s regime. The next stand was in Cairo. They carried out this type of vigil five times, with participants turning their backs to the street, sometimes with three or four kilometers of silently praying Egyptians. A thousand people took part in Khaled Said’s public funeral. The April 6 Youth Movement also organized an event to denounce Said’s murder in Cairo, and Wael’s hopes rose. Naming themselves after the April 6 action, members of the movement participated in online tutorials with organizers of Otpor! (Resistance! ), the Serbian student movement that unified 18 competing political parties and the general population to bring down Slobodan Milošević in 2000. The April 6 movement even sent one of their group, Mohamed Adel, to Belgrade in 2009. Learning from Otpor trainers about how they had organized, and why it was critically important to avoid violence, Mohamed came back talking about “unity, discipline, and planning,” carrying films and teaching aids. The April 6 movement modeled its logo after Otpor’s and adopted Otpor’s organizational approach, in which all were equal, making it harder for authorities to pick off so-called leaders. By 2009, some 76,000 were involved and posting on its Facebook page. Practical and tangible lessons came into Egypt over a period of years through a variety of channels. The Otpor leaders had formed a network of activists that included experienced veterans from nonviolent struggles in South Africa, the Philippines, Lebanon, Georgia and Ukraine. The Egyptians tapping into Otpor were therefore learning from a global interchange. Scholars Maria Stephan and Stephen Zunes visited Cairo in 2009 to work with liberal academicians and reform-minded civil-society actors. For five years, some Egyptian activists and bloggers had been meeting with people central to nonviolent movements across the world, comparing notes. This is how they met the Serbian veterans. Pray for #Egypt. Very worried as it seems that government is planning a war crime tomorrow against people. We are all ready to die #Jan25. On January 28, the Day of Rage, Mubarak’s regime blocked the Internet for five days. 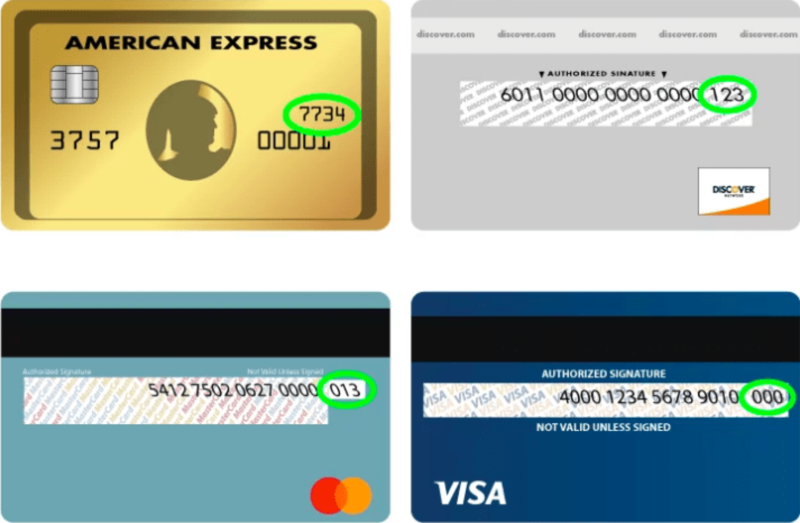 Egyptians outwitted this measure by relaying through other outlets. A print shop reproduced a 26-page pamphlet for instant circulation. As police used tear gas and water cannon against demonstrators, the pamphlet, “How to Protest Intelligently,” warned people not to disseminate the plan through Facebook or Twitter, because both were monitored by the Interior Ministry. Listing the democracy movement’s demands and calling for tactical unity, it asked for “strategic civil disobedience” in winning over of the police and army “to the side of the people.” It called for disciplined, positive slogans and language. As demonstrations spread across the country, some of the biggest rallies occurred when the Internet was down. Social media alone are not causative. Nonviolent movements have always appropriated the most advanced technologies available in order to spread their messages. When fighting with the force of ideas, rejecting violence or militarized methods, the reframing of old grievances as wrongs that might now be corrected requires argumentation and teaching. People must be helped to see that deep-rooted predicaments can be amenable to direct action. Wael agreed when I made this point on the BBC: “We’re trying to give too much credit to social media, because it’s a new thing,” he said. Indeed, far more important than media, pre-existing conditions or the political culture in the Arab rebellions were two other factors that helped give rise to revolt: 1) The existence of a civic capacity for sustained action and protracted long-term resistance—mosques, churches, labor unions, networks of professional and other organizations, and groups that have gone underground. 2) The sharing of lessons and knowledge from other movements, and the dissemination of historical insights among guiding activist intellectuals. Political thinking affects strategic planning. Both of these forces involve human agency—individual and collective. On the 17th day of protest in Tahrir Square, the waves of strikes that had been ongoing since 2006 widened. They spread throughout all of Egypt. After 18 days—January 25 to February 11—Mubarak resigned from the presidency, his legitimacy destroyed. Egyptians had been organizing themselves long before they would fill Tahrir Square. Enough of them in sufficiently dispersed centers of society had obtained the knowledge and a level of preparedness to build a national mobilization of noncooperation. This included the country’s dispirited civil-society groups. It included young activists, some of whom had been learning from experience abroad and organizing through online social networks. It included working-class people who had been trying to improve their lot by striking. Ultimately, the refusal of laborers to show up for work in the days just before the Mubarak resignation was the last prop to be pulled away from Mubarak’s regime. Working in diffuse groups, Egyptians knew how to organize, how to withdraw cooperation and how to handle the unexpected. As they confront Mubarak’s successors, they will need this knowledge for their continuing struggle. I agree with your comments, and am in the process of formulating a prospectus for a PhD thesis on the topic of ensuring security in the conduct of nonviolent struggle; looking at the long path in Egypt leading up to Jan 25 and the key roles of NGO’s, government organizations, and people power. Would like to be in touch with those who have similar interest. Indeed the uprun to the revolution in egypt was very long. But I am always very sceptical about the role of foreigners in this, especcially as no egyptians call their influence important. This may have tactical reasons, but most likely it was just that: not important. Stephen Zunes for example negates that his visit had any big influence on the visitors of the seminar, so why drop his name? I am still willing to imagine that the participation of one person in one training in Serbia had some minimal influence on the organisation of resistance in Egypt, but I haven’t seen any information how this know how has been spread to the thousands of activists or how the skills of this one person contributed to the organisation of protests in 2011. As far as I know Mohamed Adel is a well known blogger, but I haven’t heard that he was really in a position to influence the strategy making of the revolutionary movement(s). It would be most incorrect to say that no Egyptians acknowledge the flow of lessons from other nonviolent movements into Egypt, as most of my information comes from Egyptians speaking to Al-Jazeera and their interviews with radio and TV. All of my sources for Ahmed Maher and the April 6 Youth Movement connection to Otpor are from Maher and Mohammed Adel. Such peer contacts are the norm rather than the exception. The galvanizing group within April 6 was, typically, a tiny group relative to the entire population that would eventually mobilize. Key activist intellectuals normally play the role of interpreter, and they work in the local languages, not in English, which is how Otpor and April 6 would have communicated. In today’s world, the sharing of learning across borders is more feasible than in the past, but is normally shared among a small strategy group(s), which subsequently puts theories and methods into the local vernacular and disseminates them in different channels across varying sectors and strata. One would not expect the barber or baker to read English or gain access to what was shared from Belgrade. It is also important to realize that there are usually many centers through which knowledge is flowing, not one or two. When Gandhi studied the Hungarian nationalist struggle against the Hapsburgs of 1849 to 1867 and the 1905 Russian Revolution, and advised that the Indians in South Africa could learn from these and African struggles, were these “foreign” influences? Doubtless no one except Gandhi was scrutinizing such struggles, so no one would attest that awareness of them was influential. Gandhi was acting as an instructor. African Americans had to journey by steamer ship to India to learn from the Indian subcontinent in the 1930s and 1940s, as I have written before. Bayard Rustin had in 1948 and the Rev. James M. Lawson for three years in the 1950s spent time in India, before returning to teach both the Southern Christian Leadership Conference (including Martin Luther King, Jr.) and the Student Nonviolent Coordinating Committee staff the basics of nonviolent struggle. No sharecropper in 1963 or 1964 would have known them or said that they were important. Many of the local people were illiterate; they did not read Gandhi. We, the staff, would distill the essence of our workshops led by Bayard and Jim. Were Bayard and Jim “foreign,” or was it just their analysis of how the Indian independence struggles had been waged that was “foreign”? It will in fact take years for reliable case studies and analyses to be carried out by Egyptian social scientists. We can, however, recognize that in diverse pockets Egyptians were working to learn for themselves from other parts of the world, and we can give them credit for smartly undertaking their own quest for freedom from dictatorship. This kind of global interchange enhances the possibility of success.